This article is prompted by two recent questions received on LocalJobNetwork's "Ask the Experts" online forum. Space there doesn't permit the sort of information that this rather complicated issue demands, hence this article which will address a number of important questions other readers might also have. For example, one question queried whether to capture the data on an internal selection as a "hire" – the position had been posted for both internal and external expressions of interest – or as a promotion or transfer. If reported as a "Promotion" the questioner wondered if she should delete the requisition and all the other internal and external applicants who had applied from her applicant flow data. This question was essentially a record keeping question and though the quick answer to the query about deleting data from applicant flow is "NO! ", that isn't terribly helpful. Another recent question asked if there was an OFCCP requirement to post every opening internally, something that was very tedious and time consuming, or whether the employer could just "shoulder tap" internal candidates and still be compliant. A short answer to those questions was "No" and "NO!" and it made some other very helpful comments and suggestions but did not deal specifically with the record keeping issue that is the focus of this article: How does an employer "count" – and analyze -- internal selections when there are both internal and external applicants -- or no other applicants at all? And – unasked but implicit in the reality of internal selections – must we (should we) post opportunities when we already have an internal candidate we know is going to get the job? What drives the first issue – the "counting" of internal selections – is each contractor's attempt to gather and analyze data in a way to be ready for an OFCCP compliance review: the very loaded Question 18 on the OFCCP's "Itemized Listing". When the agency sends notice to a contractor that it has been selected for a Compliance Review, it sends a "Scheduling Letter." Attached to each Scheduling Letter is the Itemized Listing which is the agency's initial request for data. These data will be used by the OFCCP to conduct a "desk audit." The contractor's submission of these data is especially important because a) if it's not sufficient for the OFCCP to make even an initial assessment of compliance, this may provoke immediate initiation of enforcement proceedings. (Although this was always within the agency's power, current signals from the OFCCP indicate a new interest in using that power.) On the other hand, the contractor's submission of information requested in the Itemized Listing is important because b) if the submission is truly detailed and complete, the OFCCP's new leadership has said that the desk audit may be the end of the compliance review – no on-site. (This also has always been within the agency's power but I think we can believe for now that the agency really means it.) This suggests to me that knowing what one's data will show and, perhaps, making a simultaneous submission of answers/justifications for, as an example, any indication of disparities in selection rates, would be a very good strategy if a contractor wanted to avoid the expense and disruption of an on-site review, not to mention sometimes endless requests for "additional data." "b. Hires: For each job group or job title, this analysis must consist of the total number of hires identified by gender and race/ethnicity. c. Promotions: For each job group or job title, provide the total number of promotions by gender and race/ethnicity. Also, include a definition of "promotion" as used by your company and the basis on which they were compiled (e.g., promotions to the job group, from and/or within the job group. If it varies for different segments of your workforce, please define the term as used for each segment. If you present promotions by job title, include the department and job group from which and to which the person(s) was promoted. c. Terminations: For each job group or job title, provide the total number of employee terminations by gender and race/ethnicity. When presenting terminations by job title, include the department and job group from which the person(s) terminated." The agency's questions provoke a significant quandary for contractors. I'll provide some history below to explain why in the quite distant past the agency asked for data the way it did; I'm at a loss why it continues to do so in the present! The error – and consequent confusion provoked by the agency' questions – is that whether a contractor's selection decision results in a hire, a promotion, a lateral move or even a demotion or termination is merely a payroll consequence for the person chosen. For example, the question of whether she should delete a requisition and applicant records – in and of itself a violation of OFCCP regulations – was no doubt prompted by the questioner's puzzlement about reporting external applicants for a requisition filled by a "promotion" (which isn't what happens to an external applicant) and, I suspect, what may also have been a situation of having internal applicants when promoting the "obvious" employee, in which case the job should (maybe?) never have been advertised in the first place. Such, shall we say, insincere postings are a common situation I will also address below. Keep always in mind that unlawful discrimination is the DENIAL by the employer of an OPPORTUNITY on the BASIS OF race/national origin/gender, etc. It's about what the employer did, to whom, and why. Consequently, the critical element of any analyses is not to what circumstance the individual was selected, e.g. "new hire" or "promoted" -- or even "demoted" or terminated" – the critical element for the analysis is who competed (if there was a competition!) and who "won," in other words, who the employer "considered" and who it selected. The agency's analyses and any consequent allegations of unlawful discrimination focus on who the employer did not select --the "denials of opportunity"; the contractor's defense to such allegations must demonstrate that the denials were not for unlawful reasons. In order to do any competent analysis to determine if there are differences in selection rates that might indicate disparate impact or treatment, we also need to know the race/national origin/gender composition of the group of all the applicants from among whom the selections were made, that is, the persons who were "denied an opportunity." Note: Here and throughout this article when I use the term "applicant" I mean "INTERNET APPLICANT" as that term is defined in OFCCP regulations. That means, among other things, a job seeker who the contractor "considered" (i.e., about whom it made a substantive assessment of qualifications), who did not withdraw, and who did not receive an offer. (And we will assume for purposes of this article that the employer always knows the EEO demographics of "all" applicants. That it doesn't is another topic for another time.) The numerator in a selection ratio is properly all the persons the employer chose (i.e., those not "denied" an opportunity, hence also including those that didn't accept or didn't show up to start work!). And the denominator (divider) is all persons the employer considered, including both those rejected and those selected. When trying to shift thinking to this model it may help to envision having to make a list of everyone who was "in the same boat" with the person who was eventually selected. My method is to extract from a client's records all the Requisitions for each "job." Since the contractor is going to aggregate its selection data over the course of an entire year, perhaps more, it's already going to be combining people that didn't compete with each other for the identical opportunity. (And for each vacancy the contractor could only choose from among those who were applicants then). This already means that persons rejected for Requisition #1 might have been more qualified than the person selected for Requisition #2 ten months later. If the OFCCP finds cause to challenge any of those selections, the contractor has a defense and it's unlikely that such circumstances would be common. On the other hand, I like to avoid aggregating data the results of which are virtually certain to provoke challenge. For example, it's very important that job titles contain enough "content" to be reasonable proxies for opportunities with the same/quite similar qualifications. Often clients have so genericized job titles that that data point is insufficient. In such cases, we would typically add at least the department to the data grab. For example, for a university I don't want to aggregate all Requisitions for "Research Assistant" when the qualifications for some require education and experience in cellular biology and other opportunities require a Masters in Library Science and experience with special collections. My objective is to exclude from analyses situations where differences in the selection rates of minorities or women would not be based on gender, race/ethnicity but would be based on differences in the actual jobs sought by the applicants and the applicants considered for the actual jobs. To combine them means almost certain disparities in selection rates that the agency would challenge and the contractor would then be able to defend based on these a"not" selections not being the "same job". I'd like to avoid the challenge/defense in the first place by "Counting the Right Numbers." The OFCCP may resist such an approach strictly because smaller numbers of selections/applicants being analyzed results in less likelihood of statistically significant disparities. But it is also true that combining such different jobs as those in my example may fail to disclose that men are being systematically denied positions in the Library or Whites are being denied research jobs in the Lab. And it's true that burying these analyses within an analysis of "Professionals II" might hide adverse impact/disparate treatment, it might also suggest disparities that, when the contractor defends by dis-aggregating into similar jobs, are non-existent. As the saying goes, "figures lie and liars figure." The most discrete analysis will be the one designed around similarity of job content/job qualifications; that is at least by job title. Using authentic data about applicants is critical to employers; I believe using data that are what the regulations demand be analyzed is equally important. And analysis by Job Group is NOT what any OFCCP regulation demands. To the contrary, the Uniform Guidelines on Employee Selection Procedures, for example, provide that adverse impact analyses be performed by "job" – or by "test" if the same "test" is given for a group of job titles. (Such a "test" might be requiring a high school diploma for employment in jobs ranging from coal shoveling to typing.) 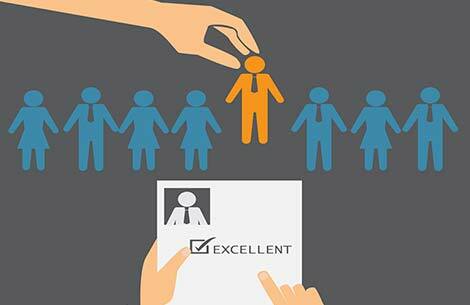 The OFCCP may appear magnanimous in soliciting applicant and selection data by either AAP Job Group or by Job Title. It isn't. In order to perform analyses that don't set up "straw men", I always urge data be configured by job title. Ask yourself four questions: 1) Have I grouped "attorneys" and "accountants" and "HR professionals" in the same AAP Job Group?…or have perhaps even also included "Engineers"? 2) Do these jobs have the same qualifications? Same license? Same degree? 3) A "Job Group" is a unit that exists in OFCCP regulations to determine underutilization –which is not the same as "discrimination," so does it make sense to use Job Group to analyze discrimination? And, finally, 4) Does the setting of a Job Group Goal – or even the failure to meet a Goal(s) – have the same financial consequence as a finding of discrimination, i.e., "back pay," etc. I'm not in favor of using data that are certain to create a need for rebuttal! It is very important that your data system include enough information for you to identify requisitions for jobs with similar qualifications. This may require that for compliance reporting you search not only by job title but also by department so you can add content to the job title. For example, the qualifications the employer uses to screen applicants for "Research Assistant – Scientific" from "Research Assistant – Administrative" so as to not group competitions for Cellular Biologists with those of Special Collections Librarians.) It would be preferable not to group them in doing an analysis that purports to show adverse impact – that is, for example, that the same qualifications ("tests") screened out more women than men. Report as "Selections," by gender, race/ethnicity all offers made, whether accepted or not, for all requisitions for [job title], and all the applicants for those opportunities, including both internal and external applicants. Compute the selection rates for each group of applicants/selections in the combined requisitions for women, men, Whites, Blacks, Hispanics, Asians and Native Americans/Pacific Islanders. Compare those selection rates, each one to the group with the highest selection rate. If that's not Whites, do the comparison of all non-White against Whites because the OFCCP will also do the comparisons that way to see if there are disparities for total minorities. If any disparities are significant, you should explore why. Is the indication that the lower selection rate is "based on" gender or race/ethnicity? If so, that's when you need to dig into the data specifically to find out which, if any, selection device you used disproportionately excluded minority group member(s) or men or women. Was it a standardized test you gave? Was it a preference for a higher level of education? Or more years of experience? Or that the interview revealed the qualifications represented didn't match what the applicant said in the interview? How would you show that these "knock out" elements were job-related and necessary for the safe and efficient performance of the job? You may now be asking, "So instead of asking about Hires and Promotions why doesn't the OFCCP ask the question: "For each Selection by job title (whether a New Hire, a Promotion, a Lateral or a Demotion) the contractor made, provide the total number of persons selected identified by gender and race/ethnicity and the total number of Applicants, identified by known gender and race/ethnicity?"" The short answer is: I don't know. A possible answer is: They've always done it that way. And, at least they no longer ask for transfers. The long answer is: I don't know for sure but although the gross data that the agency receives often provokes suspicion and the need for challenge and further investigation, the agency seems to like that approach. In my darkest moods, I refer to this as setting up "straw men" for the contractor to have to knock down. More on that later too. But to be completely fair, and in the interest of clarity, some history may serve a purpose here. When the OFCCP came into existence in 1978 following President Carter's consolidation of Executive Order enforcement into one agency (rather than it being accomplished by a myriad of different Executive agencies such as Agriculture, Treasury, Interior, Education, etc.) very few employers advertised jobs internally except those required by a collective bargaining agreement. Occasionally the existence of an opportunity might be broadcast to a select few – or posted only in the men's locker room! Succession planning, to the extent it existed, was rarely acknowledged and always occurred under the strictest of secrecy. It was commonly understood that certain transfers were more desirable than others, including more desirable because of greater "visibility", or an opportunity for greater breadth of knowledge/experience about the business, or even "you'll never become VP without working for Chuck Jones." And promotions and transfers into vacant positions were typically made by a "tap on the shoulder." Employers initiated both desirable as well as undesirable transfers, not employees. There was no formal way for an employee to express interest in, much less ask to be considered, in a different job. And vacancies were often filled almost before employees knew they existed. Although there was often (perhaps even usually) a real "competition" for better jobs, it was secret – no one outside the decision makers knew who had been "considered" and found to be not the "right" person, much less was there any assurance that anyone who might actually be interested in the job even surfaced for consideration. Depending on the job this "competition" may have occurred in the back of one supervisor's mind or it might have involved many meetings of higher-level management. Both situations had one thing in common: no records were made and persons "not selected" (i.e., denied opportunities -- whether lawfully or not) definitely were not counted or included in any of the contractor's reports or analyses. And the OFCCP knew this. So, in soliciting data to determine compliance or investigate potential unlawful denial of opportunities, the agency correctly assumed that most employers would not have records of who, by gender, race/ethnicity were the possible persons the contractor considered – much less should have considered – for these internal movements. When opportunities were not widely advertised, both internally and externally, nor expressions of interest specifically solicited for those openings, it made some sense for the OFCCP to look at who got the job and attempt to infer from where that person came who else might have been interested and qualified for the position but denied it. This was the case for many years but in 2019 – and for many years before -- that approach is nonsensical! The OFCCP today asks essentially the same question about "promotions" that it has asked for forty years, notwithstanding a seismic shift in the way recruitment and selections are handled by today's contractors. Today, neither we nor the OFCCP need to infer/guess...we know who was in the "pool" of persons who were not only considered but who individually sought each opportunity. And no employer should ever pay a thin dime in back pay to anyone who could have applied and didn't! Where's the DENIAL? The OFCCP today asks essentially the same question about "promotions" that it has asked for forty years, notwithstanding a seismic shift in the way recruitment and selections are handled by today's contractors. I don't know if there is anyone still in the OFCCP who actually knows why they used to ask the question about "support data" the way they did. The OFCCP must know that it could, and should, analyze actual job seekers/applicants not ones they infer. But, frankly, the OFCCP continues to solicit – and/or aggregate data – in virtually all of their analyses in a way that seems designed to set up the false hypothesis of "guilty" so that the contractor must "prove innocence." HOWEVER, there are "promotions" that don't have an "applicant pool' – promotions that are truly non-competitive. And, in which case should not ever be posted. Some contractors refer to them as "in line," or "career/line of progression" promotions and if you have such situations, I recommend labeling them as such and reporting them separately from competitive promotions. To do otherwise skews the data even more. For example, if – in the absence of a vacancy – an Engineer I advances to Engineer II, or an Apprentice becomes a Journeyworker, or an Assistant Researcher becomes an Associate Researcher by virtue of completion of training and/or satisfactory job performance over some known duration of time (e.g., two years), then we report these "Non-Competitive Promotions" separately, and in the way the OFCCP asks for them – from which department and to which department promoted – and always by job title, not job group. Typically, in these types of promotions the department doesn't change but the job title does. We report these types of promotions as "Non-Competitive Promotions" and include a description of them – and that there are no "applicants" for them – in the definition of "promotion" that the client provides to the OFCCP. One caveat: for a promotion to be truly non-competitive there must be no restriction on the number of employees who may be advanced to the next job on the ladder. If Bailey advancing from Engineer II to Engineer III means that Hunter won't be promoted because there's a head count control on the number of Engineers III, then Hunter was "denied" that opportunity and somewhere along the line there was a "competition" not won even if it happened in the wink of the supervisor's eye. So be careful with this; if you have any question about whether a promotion was truly non-competitive, ask yourself this question: did any other employee lose out on the promotion because Bailey got it. If the answer is "no one else's ox was gored," that's what I mean by a "non-competitive" promotion. For example, if the Human Resources Department has a Manager of Talent Acquisition, a Manager of Benefits, a Manager of Training, a Manager of EEO Compliance and Diversity and a Deputy Director of HR, when the Director of HR position becomes vacant you would probably be safe (safer?) not to post the job if you promote the Deputy Director. If there isn't a Deputy Director – or you don't promote him or her, I promise you – someone's ox was gored! Author's note: authentic succession planning (i.e., long term identification and planned/structured development and grooming of individuals for advancement) also requires record keeping and strict scrutiny to ensure compliance. It is beyond the scope of this article and I recommend you seek experienced legal counsel if your organization is so engaged. To come full circle with respect to Item 18 in the Itemized Listing – the moving force behind the question that was asked – I encourage you to also look at how you report and analyze Item 18(c), Terminations. The same model works: focus on DENIAL of the OPPORTUNITY (in this case, the opportunity to retain one's job) and the people who were "considered" – if any – for the "selection" to terminate employment. Right off we see that it makes no sense to combine Voluntary Resignations with any employer-initiated separation. Report them separately. The culture of the OFCCP is such that it may still maintain that it can discern in Voluntary Resignations evidence that minorities or women were "run off." Perhaps it could, but I doubt it. What I have no doubt about is that in over 40 years I know of no case where the OFCCP alleged constructive discharge on the basis of Item 18 data. Similarly, no case of disparate treatment in involuntary terminations can be made without evidence that men or whites or some other race/national origin group were not discharged when guilty of the same violations for which women or Hispanics, for example, were fired. And the less the alleged comparators are "similarly situated" (which is the situation when all terminations are lumped together), the less likely it is that even any intelligent inferences can be drawn. I believe the OFCCP has not challenged involuntary discharges of minorities or women on the basis of Item 18 data. One sort of employer-initiated terminations definitely does permit a decent analysis of pure data: Reductions-in-Force. However, only if the employer also identifies the pool of persons who were "at risk" for termination in a reduction-in-force can an authentic disparate impact analysis be performed. This is true whether the terminations were run solely in accordance with seniority under a collective bargaining agreement or whether it was a much more nuanced situation where 25 Widget Accountants essentially competed for the 15 Widget Accountant jobs that were going be available after ten jobs were cut. It seems to me ludicrous to combine such terminations with any others and the OFCCP has never challenged our reporting termination data in the manner I've described here. I seem to have come all the way to the end of this article only alluding to something that is the cornerstone of compliance. And that is, analysis by the contractor. Preferably – indeed, possibly conducive to job security – prior to the OFCCP's demand for data in a compliance review or complaint investigation. And if not then, at least prior to the agency analyzing the data that you have already provided in response to Question 18 (not much time, but do use it!). In its Itemized Listing, the OFCCP nowhere asks for your analyses of your employment activity data although the agency argues that its regulations require that you do them. In fact, that's part of being an "affirmative action employer." A required ingredient of every AAP is an "internal audit and reporting system", a key ingredient of which the regulations describe as "monitor[ing] records of all personnel activity including…placements, promotions, terminations, and compensation…to ensure that [the contractor's] nondiscriminatory policy is carried out. 41 CFR §60-2.17 (d). This is a part of your AAP, correct? How are you "monitoring all placements, promotions, terminations"? Whether you share such analyses with the OFCCP is something you may wish to discuss with legal counsel but it's doubtful you could be said to be "monitoring" without doing such analyses. And failing to do them is a sure path to unpleasant surprises when the OFCCP could do them anytime in the next 31 days – you have 30 days to submit the data from the date of the receipt of the agency's request. The contractor who would like the OFCCP's compliance review to end at the desk audit stage has no reason at all to aspire to that unless it has done its own analyses well prior to submitting its data in response to Question 18. If you submit your analyses to the OFCCP at least one good thing will happen and one might happen: you will demonstrate to the compliance officer that you are "on top of things" (and not to be trifled with? ), and this might encourage the OFCCP to do its analyses in the same way you've done yours: by job title and using legitimate means of identifying "substantial disparities", i.e., those that are statistically significant. Nothing encourages buy-in more than having one's work done for one! If you've done your analyses in sufficient time before submitting the data and there are one or more instances of statistically significant disparities in selection rates, another good thing might happen. You might have additional analyses or explanations that you could submit simultaneously with the data that appears to indicate a problem. For example, if you did a really great outreach for minorities or women and had a whopping big influx of job seekers – you might argue to the OFCCP that this was an anomaly that grew out of a good faith effort and you're really glad you sourced so many potential employees but that…[whatever you believe is the reason that more were not offered jobs.] Or, that when you investigated these disparities – as you affirmatively did in order to ensure that your nondiscrimination policies were being followed, you learned that a new employee had miscoded X number of applicants (this is sort of a "dog ate my homework" excuse but it can happen), or – and the best defense, you found that when you did an analysis of the components (not the "steps") in your selection process you found that substantially more men than women failed your completely valid keystroke test for data entry clerks, or that substantially more Asian applicants for Arts and Letters Instructor than Whites, Blacks, Hispanics or Native Americans had lived or traveled in Asia, which was a preferred qualification for two vacancies to teach Asian Studies. Or that fewer women than men applied for most of the vacancies as Engineers, only X for 30 positions requiring a Mechanical Engineering Degree versus XXXXX men, rather most of the women applicants had applied for the two vacancies as Electrical Engineers and one of them was hired, a selection ratio for that position that was identical to that of men who had pursued those opportunities. You see how this works? The facts are what the facts are and if, in fact, your organization can defend an allegation it might decide it's better to do so before the allegation is even made. And if it can't, perhaps it can at least get ahead of the curve in a) preventing additional problems (selections are occurring as you read this!) and b) determining what remedy you might anticipate the agency demanding. You might even get ahead of that…if you're looking at back pay and job offers to 54 women denied jobs for reasons you can't defend – or don't even know because your records are pitiful – you might mitigate the damages by re-interviewing some or all of them now and offering jobs to those who are no worse than the men you selected instead. A good offense and/or "damage control" strategies are not for every organization or every circumstance and this article is not intended to be nor should it be relied upon as legal advice. You should always seek advice from competent legal counsel who can evaluate your specific circumstances, and who may have a different strategy than I. Some organizations are "lay your cards on the table" folks; some are "play them close to the vest." But whatever the better approach in specific circumstances, it's my goal is to empower contractors. Knowledge IS power and you can't manage what you don't know. I urge contractors to routinely perform their own analyses of selections. Report data and share or don't share analyses as your circumstances dictate and in the manner your attorney advises. But do plan to know before the OFCCP finds out. Remember that – in its most basic sense – "affirmative action" means managing to ensure equality of employment opportunity.